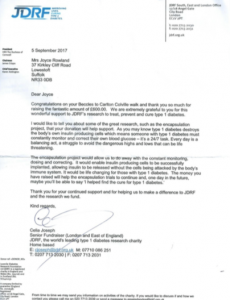 You may recall that Joyce completed a charity walk raising money to support the Junior Diabetes Research Foundation’s work on finding a cure for type 1 diabetes,, which her granddaughter lives with . 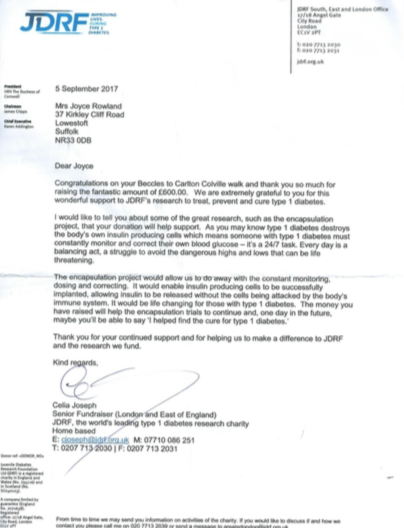 Broadland MGOC made a donation towards the amazing £6600 that Joyce raised.. Well done Joyce!!!!! !